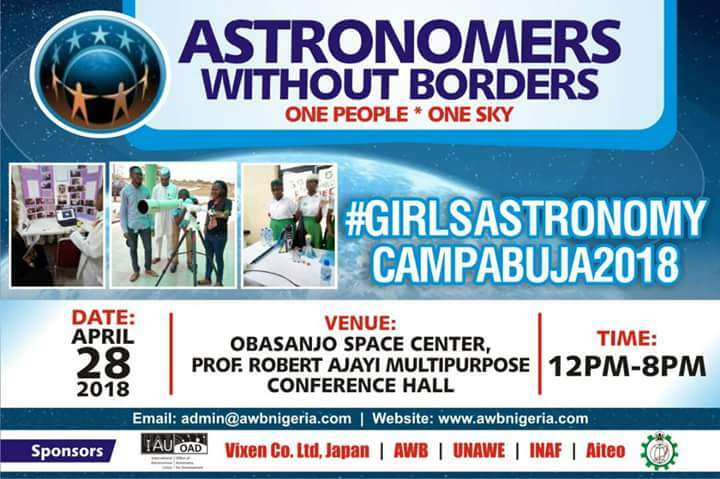 An astronomy awareness day is being held as part of the project ‘Girls Astronomy Camp’ in Abuja, Nigeria, supported by the OAD. Fifty young girls are being selected to participate in this camp. A lot of fun activities have been lined up for this event, including a one hour star-gazing session (7-8pm) with telescopes.